Inside sources from apple indicated that, Apple will commence taking pre-orders for its next-generation iPhone, rumored as iPhone 5on September 12. The news basically leaked from Apple’s owned blog called, iMore. Earlier, the blog mentioned the launch date of iPhone 5 to be 12 September.The nes iPhone is expected to sport a thinner and larger screen. The dock connector will be smaller. There is speculation about change in placements of headphone jack and FaceTime camera. Thus, this iPhone avatar will differ in looks from its former siblings. It’s been talked that shipment will begin after 9 days of launch, which falls to be September 21. The pre-order is open for US customers. Global customers can expect to see the much awaited next gen iPhone from October 5. The mobile conglomerate Nokia in endeavor to expand its Asha series in the country announced the launch of Nokia Asha 305 and Asha 311 - new budget phones. Both the phones are touch screen with 3 inch display. However, Asha 305 has capacitive touchscreen display with resolution of 400x240 pixels, while Nokia Asha 305 will be a resistive touch screen phone. 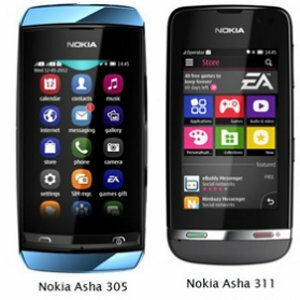 Also, both the phones are designed to run on S40 Asha operating system and come packed with Nokia Browser 2.0. Asha 305 is a dual-SIM phone and Asha 311 will have only one SIM slot. According to Nokia, Nokia Browser 2.0 Internet access without the need of a third-party browser. Therefore, both the newly launched phones have Nokia Browser 2.0 preloaded. Nokia Asha 305, which is already available in market with a price tag of Rs. 5029 features 2MP camera, 10MB internal memory (expandable up to 32 GB via microSD card), music player, FM radio, Li-Ion 1110 mAh battery, and weigh 98gm. Made for Internet connectivity, the phone supports WAP, GPRS, EDGE, and Java. The phone also offers Bluetooth and USB connectivity. While, Nokia Asha 311, which is expected to hit the Indian retails on August 12 will be offered at Rs. 7139. Packed with 256MB internal memory, which is expandable up to 32GB, Nokia Asha 311 will have better camera than that Nokia Asha 305, a 3.2 megapixel camera. It will also have Corning Gorilla Glass to protect the display. Music player, FM radio, 1GHz processor, WAP & Java support, GPRS, Bluetooth, Wi-Fi, USB connectivity, Li-Ion 1110 mAh battery are other features to make the device superior. Sony's latest smartphone, christened as Xperia ion is now available for sell in India. Wearing a price tag of Rs 35,999, the device with 4.6 inch TFT display, is powered with Android v4.0 (ICS) OS and 1.5 GHz dual-core Qualcomm processor. 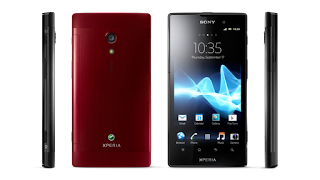 Looking similar to elder siblings to name Xperia P, Xperia U, and Xperia S, the smartphone has elegant look and impressive built quality. It comes in two avatars - Black & Red. It has 1GB RAM, and packs 16GB internal memory (up to12.9GB is user-accessible), can be further expanded up to 32GB via microSD card. 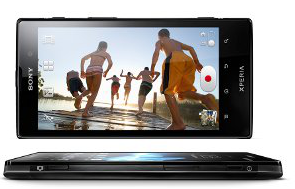 To worth its price tag, Sony Xperia ion comes with good 12.1 MP camera. 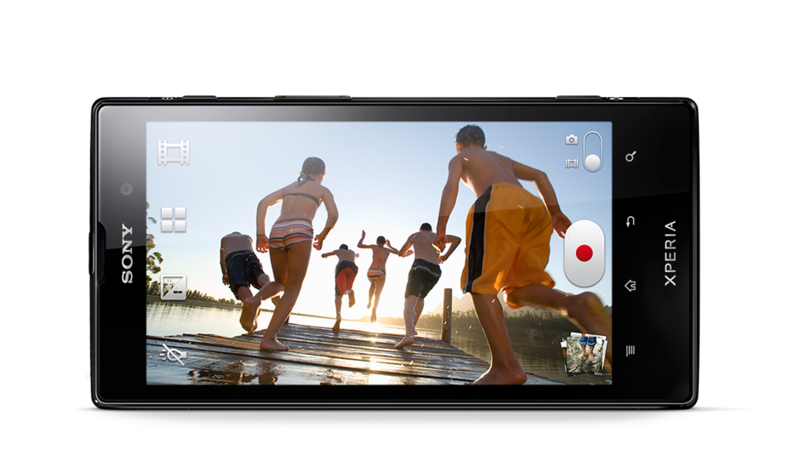 Apart from clicking crisp images, the phone is capable of HD video recording (1080p). Even, its 1.3MP front camera shoots HD 720p videos. Users can have great photography and videographer experience with the camera phone as it has plethora of settings such as 16x digital zoom, face detection, and 3D panorama. On entertainment front, Sony Xperia ion is monster. It has music player and FM radio with RDS – listen to your favorite music and act as humming bird! xLOUD Experience, the audio filter technology from Sony provides ultimate pleasure to your ears – every beats will reach the depth of your ear drum! As Sony Xperia ion has universal 3.5mm audio jack, you can use your favorite headset to roll on the music. However, the one provided with the sale pack is awesome. While, you can download innumerable games from the Google Play store, 3D and motion gaming is an added advantage for the gamers. Timescape UI enables users to get all communication with a person in one place. One can also enjoy watching favorite TV show by TV launcher. Connectivity options such as Wi-Fi, HDMI, Bluetooth, 3G, GPS, NFC, and USB let hook to your media and contact in a way you wish! This superphone has big 1900 mAh battery to keep you active for long. Say no to battery recharge after every few hours. Your device is blessed with 12 hours of music listening time, 3 hours of video playback time, 10 hours of talktime, and 400 hours stand by time. 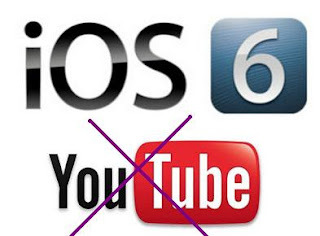 It may be disappointing for you but Apple Inc has decided not to include YouTube on new versions of iPhone and iPad/ on iOS 6 devices. YouTube has been among apps that come pre-loaded onto the Apple's mobile devices since the original iPhone was introduced in 2007. Perhaps, growing rivalry between the Apple Inc & Google Inc, forced Apple to refrain from YouTube - a Google's product, one of the most used apps on any smartphone. Indeed, it is not all of sudden step, earlier this year, Apple gave statement against Google. Almost a year before, Apple said it would dump Google's mapping software from its mobile devices. And this time, it has just dumped YouTube silently. Since, Google's Android is growing fast in the smartphone domain, Apple, which once was on the top is getting jealous of Google's accelerated pace. However, Apple responded "license to include the YouTube app in the iOS operating system has ended”. Also, Apple indicated that "customers can use YouTube in the Safari browser and Google is working on a new YouTube app to be on the app store. "However, Apple has not given any official comment on its plan to replace YouTube with another pre-installed online video app from a different company. Let’s wait and watch, if Apple is going to tie up with any other company for video website to make them handy for users or they have to browse the same YouTube through Safari browser. 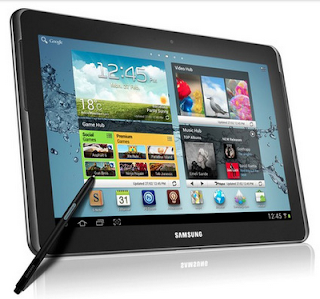 Samsung has announced the availability of new Galaxy Note 10.1 by the end of this month. Samsung made the announcement on Monday, 6th of August, 2011 about the worldwide availability of the 3G version of the device very soon. Galaxy Note 10.1 was initially publicized at Mobile World Congress in February this year. Besides announcing the tablet, Samsung also indicated about the introduction of 3G and Wi-Fi versions of the tablet in August this year and LTE version expected to come on the platform later this year. The new Note will have 10.1 inch display and will run on Android ICS OS. The tablet will be backed with a 1.4 GHz quad-core Exynos processor for smoother performance. Along with 5MP main camera, the tablet will also feature a 1.9MP front camera for video chat. According to geeks, multitasking will be much smoother on the device such as watching a video while surfing the web, or taking notes while looking at an upcoming presentation will be smooth experience now. Hand written contents on the tablet can be automatically covered to text. Tablet keyboard can be easily adjusted in size to meet personal needs. Even keyboard can be moved around the screen. Isn’t this revolutionary! Besides consuming contents such as videos, photos, document and the Internet, the Galaxy Note 10.1 is also capable of producing, creating and customizing those same contents. Samsung is all set to showcase the next version of Note, popularly known as “phablet” device - Galaxy Note 2 on August 29th, 2012. If Samsung's spokesperson is to be relied upon, warps from the new Note will be uncovered two days before the opening of Europe's biggest consumer electronics trade fair IFA. According to various media reports, Galaxy Note 2 will sport a 5.5 inch Super AMOLED display, slightly larger than the older Note, which has 5.3 inch display. Most certainly, the new Note will board a faster processor. It's been talked that Samsung has planned to integrate a 2 GHz proprietary Exynos 5250 quad core processor. It is to be noted that Note comes with 1.4 GHz dual core processor. If Note is blessed with 2 GHz processor, it will be the first device to run on such as a fast processor. The new Note may allow users to capture crisper images and shoot better videos. The Note has 8MP camera, while new Note 2 is bringing in a 12MP sensor to satiate the avid photographer. The device will be rolled with Android v4.0 ICS. Though, Note 2 will come with upgraded Android OS, if we compare with older Note, consumers may wish to have it with Android Jelly Bean, the latest Android OS. 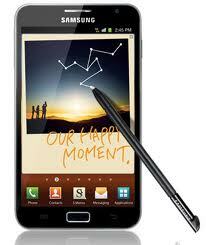 Phone or Tablet- It's a Galaxy Note! It is also in air that the rival, Apple is also planning to reveal much awaited new iPhone two weeks after the disclosure of Note 2. The intension of Apple may get flop considering the popularity of “phablet” among consumers. Also, Samsung has already overtaken Apple last year to become the world's largest smartphone maker. According to latest survey, there have been huge increments in the shipment of smartphone (50.5 million during April to June) in the last quarter of this year, nearly double of the 26 million iPhones sold. Let’s wait and watch which is going to make impression among consumers – Galaxy Note or iPhone 5! Monsoon has arrived in India and it lasts from June to September, reaching its full extent in the months of July & August. While we appreciate the rain as it is bliss after scorching summers, precautions should be taken to ensure all round safety in your life. At one hand you wish to do lots of outdoor activities such as splashing in muddy puddles, taking romantic rain shower, enjoy playing football in rain, and ranges of splashing funs, on the other hand you fear of disasters going to happen with your gadgets. Switch off: You should switch off your gadget as soon as you realize water has entered your device. In fact, you should switch off your device before moving out in rain. Remove battery: Remove the battery from your device as soon as you reach a safe place. Dismantle parts: Dismantle the removable parts of device. Shake well to remove water: Share the device well to remove water which as entered the inner parts of device. Wipe out: Wipe the water out with cotton or piece of soft cloth. Dry: Keep the device under fan to let it dry. You should not place it in string sun heat or under intense flame of light. However, you can place it in normal sun to remove moisture. Cover with dry uncooked rice: It may seem a weird tip, but it helps a lot. You should cover the device with dry uncooked rice. It takes away remaining moisture from the device. You should left it for at least 1 hour. Wipe out: Wipe the device carefully after taking it from the pile of rice. Wait for few minutes: Don’t rush to switch it on! You should wait for some time; say 30 minutes to switch in on. There is very high chance that you can save your darling gadget from getting damaged after getting wet. If possible, keep a small plastic carry bag with you in the rainy season. Whenever, it starts pouring, you should keep the device in the carry bag. Your device will remain safe even if you completely wet. You can laminate your device completely in the season to avoid entering water in its part. You should rely on waterproof carrying cases.